Every nation has an anti-city. In England, Manchester stands opposed to London; in Scotland, Glasgow is everything that Edinburgh is not; in Sicily, Catania is the antithesis of Palermo; in Colombia, Pereira opposes Bogota. For Japan, Osaka is no exception. Compared to the plush and pricey capital city, Tokyo, Osaka is her gritty, vibrant, entrepreneurial and fun-loving younger sister. 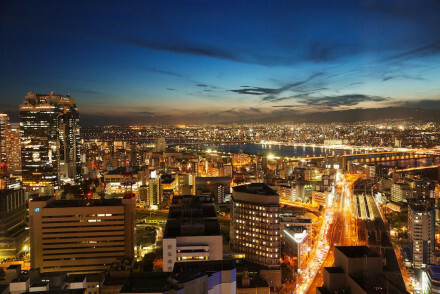 The best place in the country for a bar crawl, she is the economic beating heart of the Kansai region of Japan and is her second-largest metropolitan area. The ideal place to let your hair down, she has a great wealth of chic bars, trendy restaurants and some of the friendliest people Japan has to offer the eager tourist, and the best places to stay in Osaka will ensure that you have an amazing holiday. Osaka has long been a thriving commercial centre. It is even said of Osakans that they greet each other by saying, "Mokarimakka?" (Are you making money?) Today, it is the heartland of tech-startups and the AI industries, with companies flocking to Osaka in droves from Tokyo to escape the extortinate prices. Japan is probably the most expensive country in the developed world, but Osaka is remarkably cheap even by those standards. With this is in mind, head over to the Kita and Minami districts - both classic downtown areas - full of amazing bars, cafes and gourmet restaurants. Doing an Osaka bar crawl should be high on your to-do list: locals are notoriously easy-going and friendly, and the city has an incredible nightlife. For a fun day-out with the kids you should check out Kaiyukan, the city's aquarium, boasting an amazing array of dolphins, sharks and seals, or perhaps head over to Universal Studios Japan - a thrilling themepark. 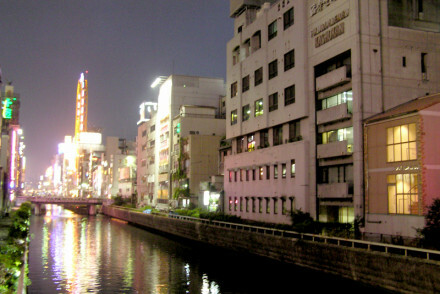 Compared with other cities, Osaka has a reputation for having few attractions. This is only half right: she is not an "historic" city boasting countless castles and shrines, though she does have Osaka Castle and the Sumiyoshi Shrine - one of Japan's oldest. Osaka Castle was built in the 16th century and has subsequently undergone many renovations, rendering it more of a museum (and a fascinating one at that) than an authentic historic site. 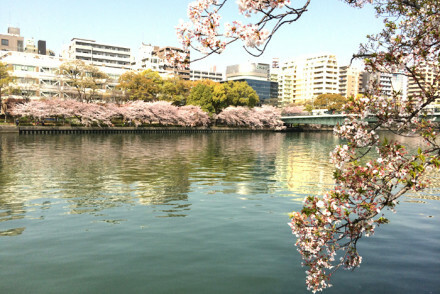 It is wonderful to visit, particularly during April, when the cherry blossom is in full bloom. The Sumiyoshi Shrine, originally built some 1800 years ago, is also a must-see: you enter it via a sacred bridge that opens into a beautiful green park, making it a lovely respite from the hustle and bustle of the city. If you want to learn more about the city's history, check out Osaka Museum of History for a really informative look at the city's relation to commerce and her rapid expansion. Head over to the Minami and Kita districts, both of which are downtown and have a fantastic wealth of cool bars, upmarket restaurants, chic cafes and some amazing shopping precincts. Check out Osaka Castle and immerse yourself in the history of the city! For a respite from the madness of the city, visit the Sumiyoshi Shrine, one of Japan's oldest shrines, and explore the lovely park. For an afternoon excursion, get yourself to Kaiyukan, the city's brilliant aquarium. If you've got kids, they'd love the Universal Studios theme park! Go to the National Museum of Art and look at the incredible variety of classical and modern artworks. Osaka may not have many attractions, but it is an effortlessly fun place to be and boasts the best nightlife in the whole of Japan. Check out our collection of the best places to stay in Osaka, and start to plan your Osakan adventure! Hotel Kuramoto: downtown, in Dotonbori, simple and traditional accommodation complete with tatami-mat flooring and futon bedding. There's a cafe inside and tonnes of restaurants and shops to check out nearby. Hotel Agora Regency Sakai: effortlessly chic hotel with a top-of-the-range spa and a multitude of dining options to choose from. 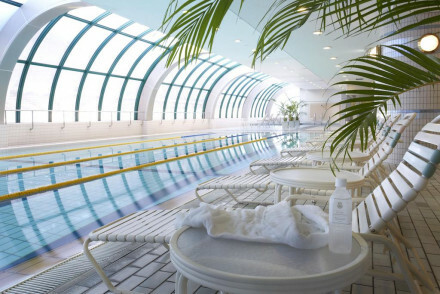 There's a fabulous indoor pool that's great to unwind in. Great value for money! Hotel Hankyu International: spacious, elegant, romantic and modern, the rooms in this hotel are simply divine. Ideal for a romantic weekend-away, guests can enjoy relaxing in the sauna or dining at one of her many restaurants. 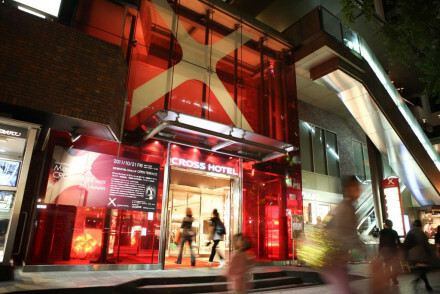 Cross Hotel Osaka: cool and contemporary hotel with a really trendy bar, in a superbly central location. Foodies will love it - the restaurant serves delicious meals. All in all, a really chic place. Fraser Residence Nankai: bright and modern rooms boasting gorgeous views of the city. Minimalist and pure, the hotel is the perfect place to relax after a busy day. There is a state-of-the-art gym and a boutique cafe. First class. 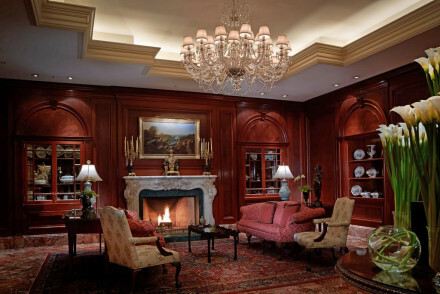 The St. Regis Osaka: a haven of beauty, art and comfort, this hotel is barefoot luxury at its finest. 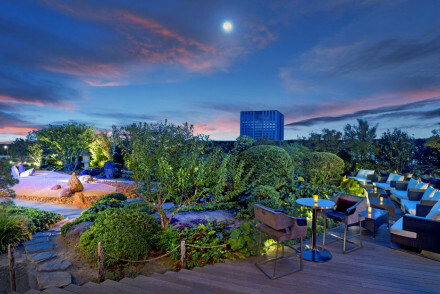 The rooftop garden terrace is a beautiful sight-to-behold and the views are jaw-dropping. With your own private butler, several restaurants to choose from and a brilliany gym, you are truly spoilt. 5* luxury. If self-catering is your preferred option, check out our partner Booking.com for a wide range of villas and apartments in the nearby area. Osaka has her own airport. Go during the early autumn, when the temperature ranges between 15 and 29 degrees, or visit in spring for the stunning cherry blossom. Kaneyoshi Ryokan enjoys a wonderful location in central Osaka. The property offers traditional Japanese accommodation-think tatami woven flooring and futon bedding. Come back after a long day out sightseeing and relax in the public bath! An unfussy city stay in a top spot. Yamatoya Honten is located in downtown Osaka and offers traditional Japanese accommodation complete with tatami-mat flooring and futon bedding. Choose either Western or Japanese-style breakfasts, whilst kaiseki cuisine is served for dinner. Unwind in the public baths. A fantastic budget city stay! 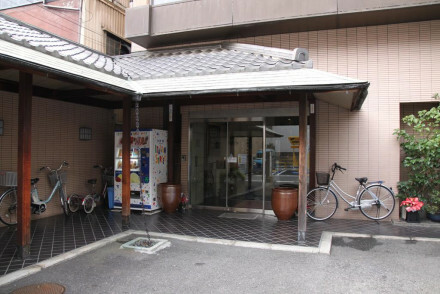 Local exploring - Travellers interested in shopping and food should head for Chuo Ward. Hozen-ji Temple is within walking distance. 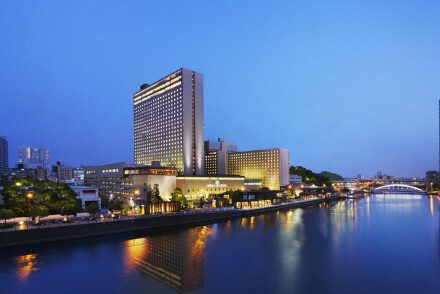 Hotel New Omani enjoys a scenic riverside location in central Osaka. Offering a range of luxurious rooms and suites, the property also boasts a number of restaurants serving up excellent Japanese, Chinese and French cuisine! Come back after a long day and relax by the pool. Views - Stunning views of the city skyline. 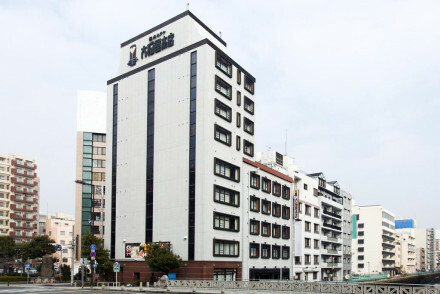 Situated in Osaka's Umeda area, Hotel Hankyu International provides spacious and elegantly decorated accommodation. Head off exploring before coming back and unwinding in the sauna-the ideal way to end the day. Be sure to visit any of their 9 superb restaurants! A classy and first-rate city stay. Views - Beautiful city views of Osaka from the 26th floor and above. 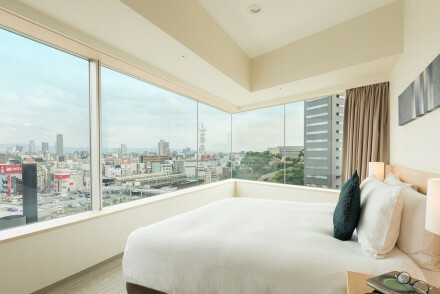 Boasting a superbly central location, Cross Hotel Osaka features contemporary accommodation decorated with white as a base colour and black or red accent colours. Unwind after a long day sightseeing with a drink in the chic Bar Seagull! A sophisticated stay in a wonderful spot-what could be better? The centrally situated Mitsui Garden Hotel Osaka Premier offers chic contemporary accommodation complete with wooden flooring. Book yourself a relaxing in-room massage after a day out sightseeing or unwind in the rooftop baths! Gourmet kyushu cuisine served at their restaurant. A lovely city stay! Views - City views tastefully framed with shrubs and low growing trees. 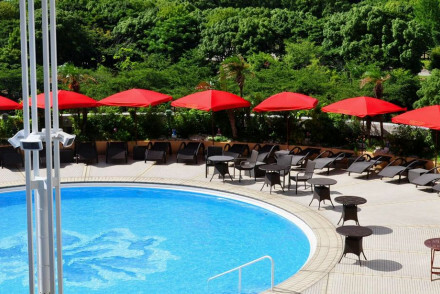 Situated centrally beside the Okawa River, the 5* Imperial Hotel Osaka houses a beautiful pool together with elegant accommodation tastefully decorated in warm hues. Delicate Chinese, French or Japanese dishes will delight as you gaze out over Osaka. Good to time your visit for the cherry blossom. Swimming Pool - Pool with a view, indoor pool. 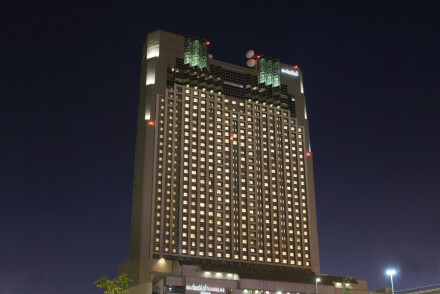 The 5* Swissotel Nankai Osaka enjoys a wonderful location in the heart of Osaka. Offering spacious & contemporary accommodation, each room comes with an LCD satellite TV and a fridge. Unwind in their extensive spa facilities after a long day sightseeing. Dining is a Delight, enjoy the experience. Local markets - Be sure to check out the lively Kuromon Ichiba Market! Spa - Offering massage & beauty treatments. 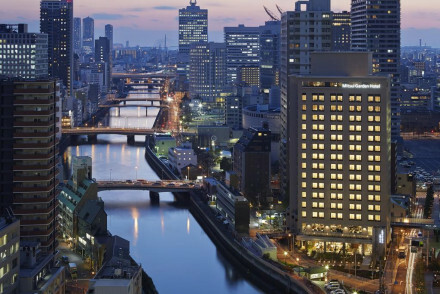 The Ritz Carlton Osaka enjoys a wonderfully central location. True celebrity treatment in this elegant accommodation, offering splendid views of the city. Gastronomically speaking you'll be spoilt for choice with a variety of restaurants serving superb cuisine. A fabulous city stay! Fraser Residence Nankai is situated in central Osaka a short distance from the Namba business district. The property offers a range of well-lit studios and apartments decorated in a chic contemporary fashion. Enjoy a continental breakfast each morning to set you up for the day! A friendly city spot. The St. Regis Osaka is located on Midosuji street, affectionately known as the Champs Elysées of Osaka. The property boasts elegant and chic accommodation whilst also providing a number of superb dining options. Speak with the private butler to arrange all sorts of activities! A first-class stay. Views - Beautiful city views. Boasting a fantastic location in the heart of the city, Rihga Royal Hotel Osaka offers a range of accommodation from elegant suites to simple contemporary rooms. What's more, the property boasts 20 stunning restaurants serving a variety of cuisine! Unwind in the sauna. A superb stay in a top spot! Swimming Pool - Indoor pool with whirlpool.